Along with the photo of Soper’s which you can see here, my brother-in-law Derek Green also came across these photos while sorting through some old family papers. 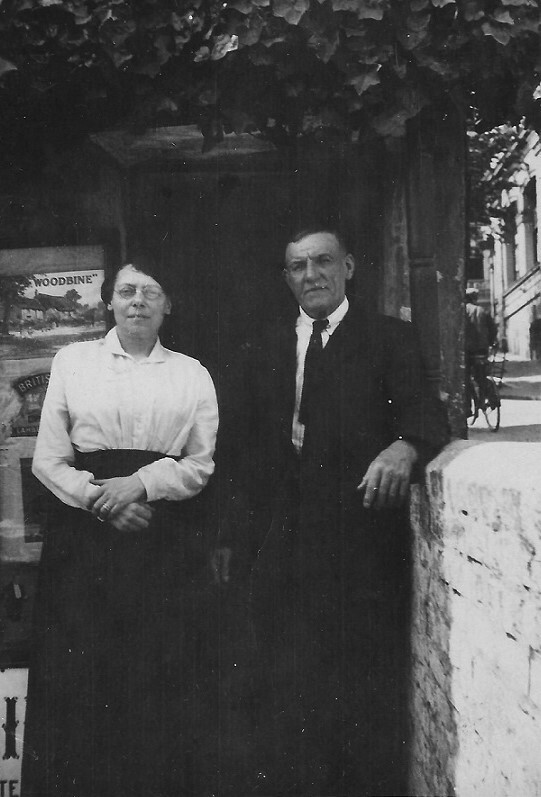 The photos date from the mid to late 1920’s and show the family tobacconist, which we were led to believe was on the corner of Tidy Street and Trafalgar Street. However the first and last photo show no comparison at all; in fact it’s a mystery! The Daily News advert “£1 Note Man in Brighton 9th August” reminds me of Fred Hale/Kolley Kibber and Brighton Rock. Poor old Fred Hale, murdered by Pinkie because he knew too much about the slot machine racket in Brighton. Perhaps Pinkie even brought his cigarettes at the tobacconist, before the chase through Brighton for Fred! 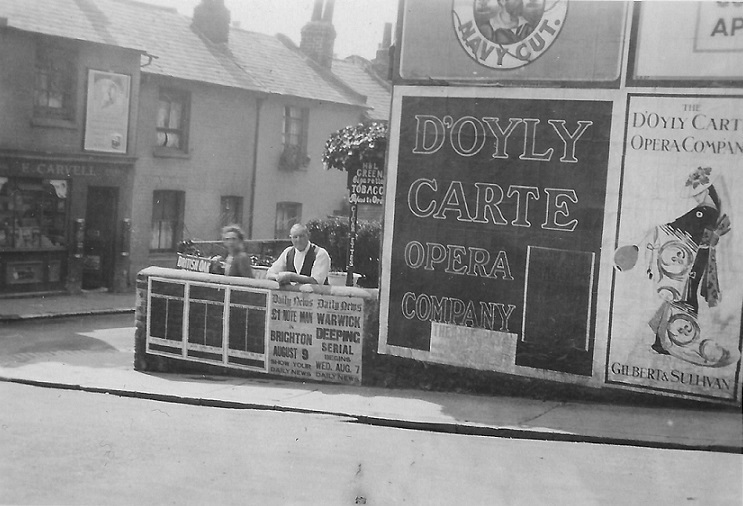 There are some other clues as to the location, possibly most revealing is the name Carvell on the shop opposite; where was this? The slope to the side of the shop is similar to that of Trafalgar Street. Further up the slope, to the left of the man on the bicycle, could be buildings of the old Railway Goods Yard. If it is Tidy Street, the basement light well seen below the sign for Country Life, must now be built over. The patio of the coffee shop on the corner of Kensington Place looks a more promising location, however the houses opposite are far too grand in comparison to the drab houses next to Carvell’s! Hi Peter. 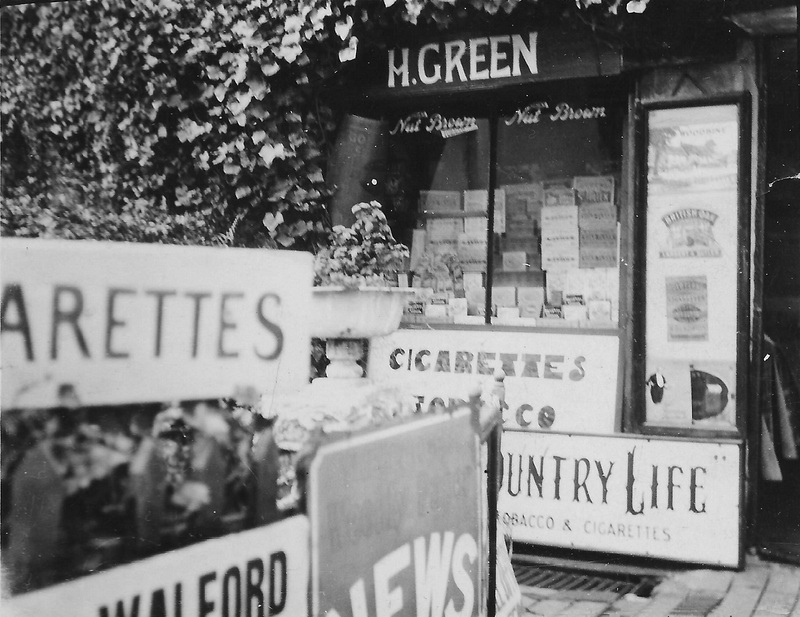 The directory I looked at had a Harry Green Newsagent at 34 Frederick Street. It also listed a C.A. Carvill general shop at number 36. This would be the corner of Frederick Street with Gloucester Road. This looks about right to me. Where Green’s was has now been rebuilt. Also, that Daily News advert for the £1 man: I remember as a child looking for the “mystery man” (working for various newspapers), who would give out cash prizes if identified and approached. Could that be the same thing? Hi Peter. 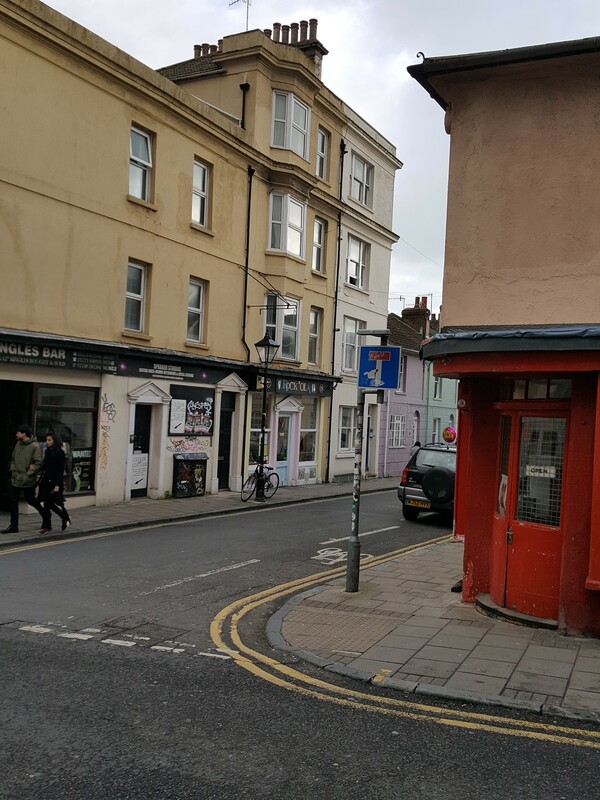 Take a look at James Gray’s photo JG _25_180 of Gloucester Road. The shop in the background in the side street looks remarkably similar to the one in your photo. Also, the advertising hoardings are in the same place and the street corner layout (could that be the tobacconist shop?) to the left of them, are not dissimilar. Regards, Alan. Hi Peter. Looking at Google Street View, I think the old shop in the background is now a private house at 36 Frederick Street. 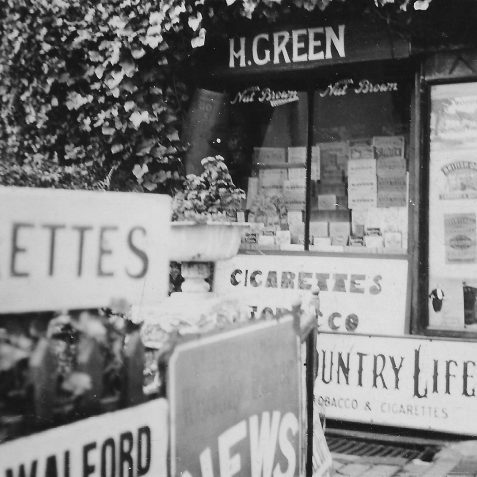 This places your tobacconist shop on the top corner of Frederick Street, where it meets Gloucester Road. 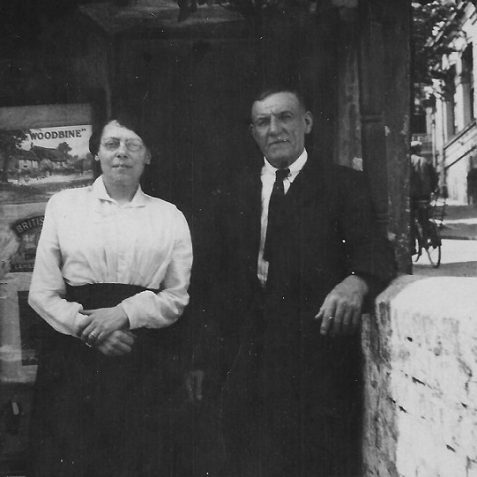 Thanks Alan and Janet, I have looked at the photo on James Gray, and you are both correct, it’s the top corner of Frederick Street and Gloucester Road, many thanks. Perhaps the connection with Tidy Street is that they lived there. Yes Janet, the mystery man (Fred Hale in Brighton Rock) was a gimmick to sell more newspapers, and of course £1 was a lot of money in the 1920’s! Yes the corner of Frederick Street; in photo 2 the wonderful old Pickfords removals and storage building is in the background on the right, such a shame it was demolished, we’ve said that about a lot of Brighton’s buildings though…. Peter, I really must watch Brighton Rock (to my shame, I never have)! The reference in your original post was completely lost on me. Lol. Good Janet, its a great movie, possibly my favourite along side The Third Man! 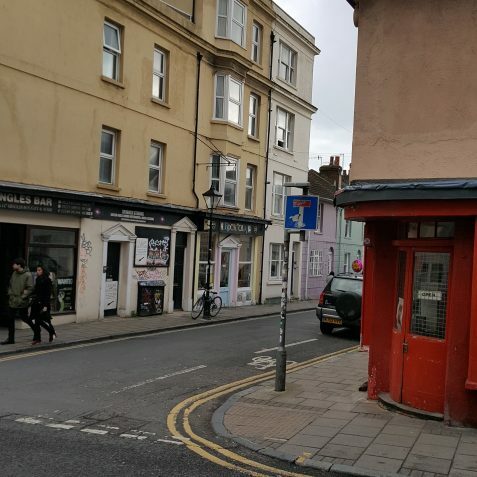 The chase through Brighton for Fred starts close to Frederick Street, through North Laine and down to the pier. I meant to add the date of this photo, its written on the back; September 1925. I meant to add the date of this photo, it’s written on the back; September 1924. 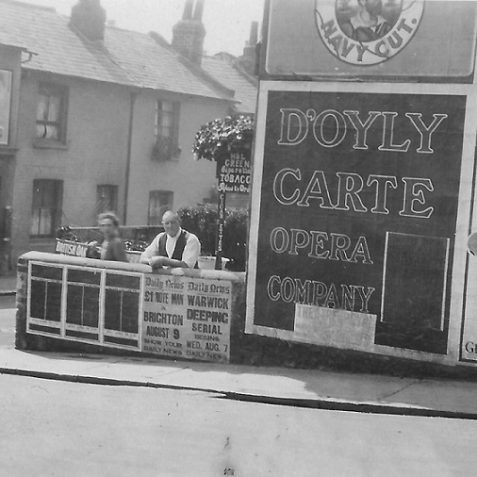 I meant to add the date of this photo, its written on the back; 7th August 1929.